Get everything you need in one convenient purchase. Foot pedal, mount and a t-shirt. Check. We carry the best foot pedal on the market. 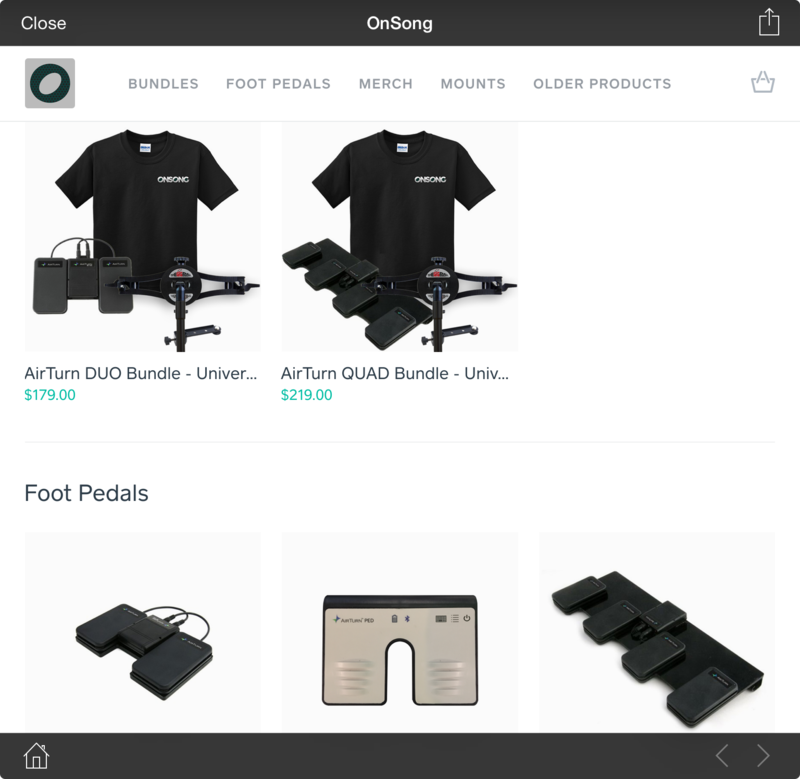 with the AirTurn PED, DUO and QUAD Bluetooth foot pedals. Right now you can get the official OnSong t-shirt but we may add some other goodies like pens or foam fingers. Securely attach any iPad or tablet to a mic stand with the universal Manos mount from AirTurn. We've put a few products out to pasture, but you can still get them if you need. These GigEasy mounts work great with iPad 2, 3, and 4. Note: You can tap on the action menu icon in the upper right corner to print the current web page or to open the current web page in the Safari app for more options. You can also use the home and arrow buttons on the bottom to navigate the website.